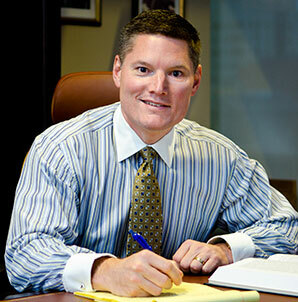 David Angeli represents corporations and individuals in complex criminal, regulatory and commercial cases. He has repeatedly been named as one of “The Best Lawyers in America” in the categories of Bet the Company Litigation, White Collar Criminal Defense and Commercial Litigation. Mr. Angeli has the distinction of being the only lawyer in the State of Oregon to be included in all three of those categories. 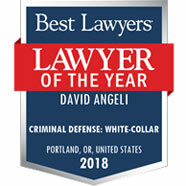 For each of the past eight years, he has been identified by his peers as being among the top 50 “Oregon Super Lawyers.” Mr. Angeli was named the Best Lawyers 2016 and 2018 White Collar Criminal Defense “Lawyer of the Year” for Portland. Obtained an acquittal on all counts after a three-week federal jury trial in which the government alleged that a member of the FBI’s Hostage Rescue Team obstructed justice in connection with the shooting of one of the leaders of the armed takeover of the Malheur Wildlife Refuge in eastern Oregon. Represented a major financial institution suing another financial institution in a Delaware case arising out of the sale of a consumer credit card company. Won summary judgment in an amount in excess of $90 million and a verdict at trial for an additional amount exceeding $25 million. Obtained a complete defense verdict on behalf of a large manufacturer after a multi-week federal jury trial involving multiple plaintiffs alleging age discrimination. Represented the former Chief Information Officer of the Oregon Health Authority in connection with numerous investigations and litigation involving Oregon’s technical implementation of the Affordable Care Act. The client was exonerated of any wrongdoing and we obtained a $1.3 million settlement on her behalf from the State of Oregon relating to the circumstances surrounding her termination. Represented a client accused of engaging in a $200 million tax fraud scheme, in a case described by the U.S. Department of Justice as “by far the largest criminal tax case in the history of Oregon.” After five years of investigation and litigation, including a contested sentencing hearing in which the government sought a substantial prison sentence, we secured a sentence of probation without any prison time, fine, or restitution requirement imposed on the client. Obtained an extremely favorable settlement for a large manufacturing company who brought a federal lawsuit alleging that a group of suppliers engaged in a multi-million-dollar price-fixing conspiracy. Represented an individual indicted in Tennessee on federal charges stemming from the alleged payment of kickbacks in connection with a federal Medicaid program. Days before trial, all charges were dismissed. Represented numerous corporations and individuals in connection with investigations into, and prosecutions of, alleged federal and state environmental violations. For example, we represented an individual and his company in one of the flagship felony prosecutions in the Oregon Attorney General’s aggressive regime of environmental criminal enforcement. After extensive litigation, including a five-day evidentiary hearing over the admissibility of the State’s scientific evidence, the State eventually dropped all 36 felony charges in exchange for a misdemeanor plea involving no jail time. Represented a major national health care provider in a federal criminal investigation into Medicare billing practices. After months of investigation and negotiation, the Justice Department ultimately declined prosecution. Represented the founder of a charity in connection with allegations of sending millions of dollars to Iran in violation of OFAC regulations. At a lengthy contested sentencing hearing, the government argued strenuously for a 30-month term of imprisonment. As the Oregonian reported in a lead editorial the next day, we prevailed, and the client did not spend even a day in prison. 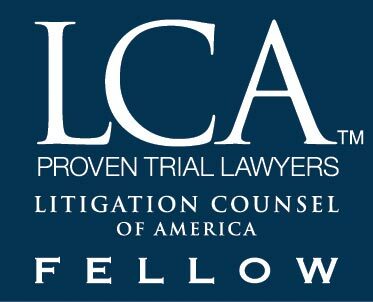 Represented numerous companies, primarily in the defense and healthcare industries, in connection with civil and criminal False Claims Act investigations and litigation. Represented a senior official at the Oregon Department of Energy in connection with an aggressive investigation into allegations of favoritism in awarding a government contract. We vigorously contested the allegations, ultimately leading to the Oregon Department of Justice dropping the investigation altogether and to the resignation of the Chief of the Department’s Criminal Division based on the Department’s missteps during the investigation. In the face of our threats to sue in light of those missteps, the State agreed to reimburse our client for the attorneys’ fees she incurred during the investigation, and to compensate her for the turmoil that she endured. Represented a multinational aerospace company in federal litigation alleging that a senior engineer stole sensitive trade secrets and other materials upon his departure to work for a competing company. Obtained a permanent injunction barring the use of the client’s trade secrets and other confidential materials. Represented a prominent individual in a claim alleging that the State of Oregon maliciously prosecuted him; after aggressive discovery and motions practice, the State agreed to pay the client a substantial amount to settle the matter. Obtained a permanent injunction in the U.S. District Court for the District of Oregon in a theft of trade secrets case involving a former regional sales representative of a major medical device manufacturer. 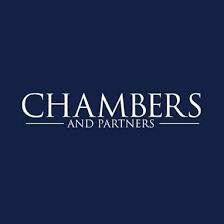 Represented an international lending organization in connection with its investigations of suspected fraud and corruption relating to the execution of various projects worldwide. Led numerous internal corporate investigations into allegations of health care fraud, Customs violations, environmental crimes, and financial improprieties. Represented a national media organization under criminal investigation in Colorado for allegedly illegal news-gathering practices. The investigation was ultimately terminated after we presented exculpatory evidence and legal arguments. Obtained a multi-million-dollar settlement for landowners in eastern Oregon resulting from unfair debt collection practices.